Age restrictions: Children are aged 5 -15 years old. Children under 5 go free. Opening hours: Open daily from 10am to 5pm (Last admission 4pm) November to February and 10am to 6pm (Last admission 5pm) March to October. Pick up point: Please take your voucher/confirmation to the main Ticket Desk to exchange your voucher for your tickets. Important info: Disabled access: Please contact our reservations team for more information. Please take your voucher/confirmation to the main Ticket Desk to exchange your voucher for your tickets. Located at the West end of Hyde park between Kensington and Notting Hill, Kensington Palace is the official London residence of the Duke and Duchess of Cambridge, the state rooms are open to the public whilst the accommodation remains the responsibility of the Royal Household. Visitors can explore the extensive gardens which include the formal gardens which cover over 240 acres which were originally part of Hyde Park. Other sights worth visiting include the King`s staircase and the Queen`s state apartments which were created for Queen Mary II and feature beautiful painted panelling. With various accommodation in the Kensington and Bayswater areas Hotel Directs guests will be able to walk to Kensington Palace easily and enjoy everything that this beautiful residence has to offer. At the end of the 19th century much of the palace was severely neglected but as the place of her birth Queen Victoria would not allow the building to be demolished. After a restoration the state rooms were opened to the public in 1899, the state apartments were also used as a temporary location for the Museum of London from 1911 to 1914. The Palace was reopened in 2012 after a lottery funded renovation and included digital presentation and interactive exhibitions. 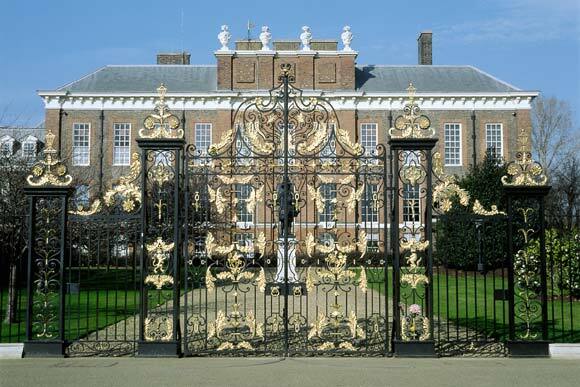 Many parties were thrown at Kensington Palace featuring many famous acts including performances by the Beatles. Not only was Queen Victoria born there she also met Prince Albert at Kensington Palace.